Quentin Tarantino has to be one of my favorite directors of all time. His films are quirky and amazing. If you haven't seen any of his films before then I would go watch them, at least the ones I consider the top 5. These are not in order of my favorite to my least it's just a top 5 that I love the most out of all of his films. Pulp Fiction the one that everyone knows. This film is one of his classics that most people know of. 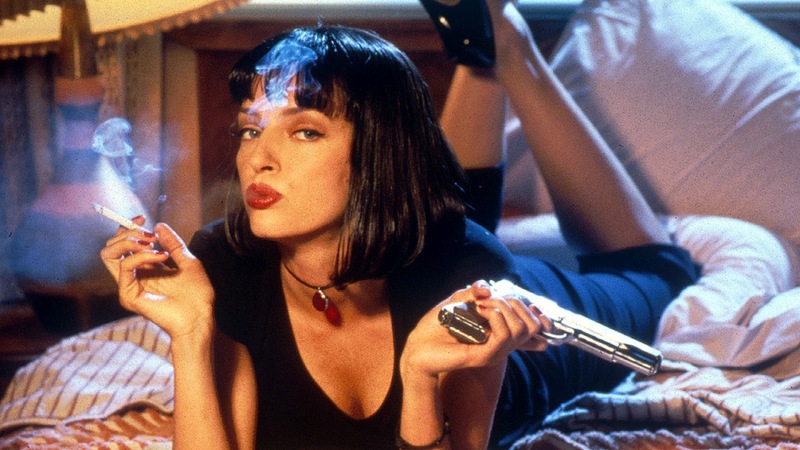 The film was released in 1994. With it's quirky style and amazing acting, with famous actors such as Samuel L. Jackson and John Travolta. It's about the lives of two mob hit men, a boxer, a gangsters wife and a pair of diner bandits intertwine in four tales of violence and redemption. This film is also on Netflix at the moment so if you have it and you haven't seen this film then I would give it a watch. 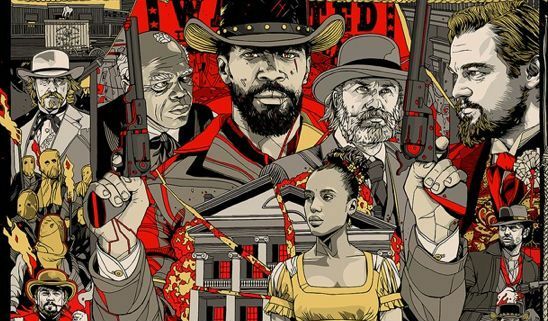 Django unchanged was one of Tarantino's most recent films released in 2012. Featuring amazing actors such as Leonardo DiCaprio, Jamie Foxx and Christoph Waltz. A story based in the time where slavery was accepted. With the help of a German bounty hunter, a freed slave sets out to rescue his wife from a brutal Mississippi plantation owner. This one has to be my favorite one so far, it really makes you not want to stop watching and has the most amazing story line with badass characters. 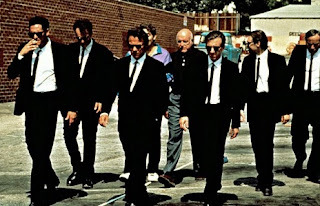 Reservoir Dogs was released in 1992 with it's old style and great story line. With famous actors Harvey Keitel, Tim Roth and Michael Madsen. After a simple jewelry heist goes terribly wrong the surviving criminals begin to suspect that one of them is with the a police man under cover. With lots of arguing over who it could be, do they ever find out if there really was a police man on in the job? If you want to find out you'll have to watch this wonderful film. It really makes you think and get to know all of the characters. Jackie Brown is the one I watched most recently. 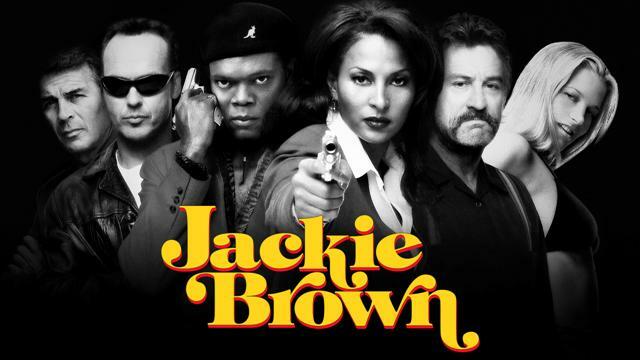 Released in 1997 with famous actors, Pam Grier, Samuel L. Jackson and Robert Forster. A middle-aged woman finds herself in the middle of a huge conflict that will either make her a profit or cost her, her life. Dose she choose to back out or dose she keep going? Not much that I can tell you about this film without giving anything away, so I would recommend watching it and finding out for yourself what happens. Kill Bill comes in two parts. Kill Bill 1 released in 2003 with the stars Uma Thurman, David Carradine and Daryl Hannah. With the bride wakens from a four year coma. The child she carried in her womb is gone. Now she must wreak vengeance on the team of assassins who betrayed her(A team she was once a part of). Kill Bill 2 released in 2004 with the same star actors. The bride continues her quest of vengeance against her former boss and lover Bill, the reclusive bouncer Budd and the treacherous, one eyed Elle. With epic fight scenes will she ever get the vengeance that she is looking for? These films aren't my favorite but they are still great films and I would really recommend to see them. Was there any films that I didn't mention that you think should of been on the Top 5?